'Trans fats' has been in the news of late, more for its harmful effects than its benefits. The visible fats and oils that are used for edible purpose contain a blend of fatty acids at various saturation levels. The search is on for the perfect oil, but thus far a fairly well balanced mix of all fatty acids has been found to be beneficial. While fats have their uses in the body, excess fats cause a long list of health problems. With cholesterol fear setting in, animal fats are being replaced with hydrogenated fats or vegetable shortenings like vanaspati and margarine. Artificial trans fats can be formed when oil goes through a process called hydrogenation, which makes the oil more solid (known as hardening). 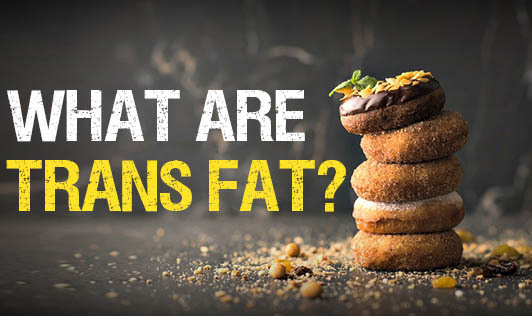 This type of fat, known as hydrogenated fat, can be used for frying or as an ingredient in processed foods.The hydrogenation process creates a change in the configuration of the fatty acids. In nature most of the unsaturated fatty acids are present in the cis form. The cis form is converted into trans form of fatty acids during hydrogenation of vegetable oils. It is the trans form of fatty acids (commonly called trans fats) which are creating health problems. The trans fats are believed to increase the risk of cholesterol deposition and artery narrowing resulting in car-diac problems. Trans fats are also believed to increase the generation of free radicals that are linked to cancer. Most ready-to-use foods and quick-cooking foods contain trans fats in the form of hydrogenated fats that is added as an ingredient. Cakes, cookies, biscuits, doughnuts and other bakery foods, soups, noodles, potato chips, chiwda and other snacks are prepared by using hydrogenated fats.